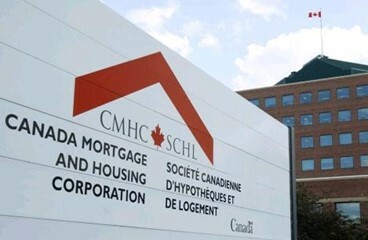 The trend in housing starts was 210,038 units in November 2018, compared to 206,460 units in October 2018, according to Canada Mortgage and Housing Corporation (CMHC). This trend measure is a six-month moving average of the monthly seasonally adjusted annual rates (SAAR) of housing starts. "The national trend in housing starts increased in November, following four consecutive months of decline," said Bob Dugan, CMHC's chief economist. "While single-detached starts continued to trend lower in November, this was more than offset by a gain in the trend of multi-unit starts following several months of weakness." Total housing starts in the Vancouver Census Metropolitan Area (CMA) continued trending lower in November 2018. The majority of November's starts were concentrated in the cities of Vancouver and Surrey, which together accounted for a third of total starts in the CMA. Year-to-date, total housing starts in the Vancouver CMA have decreased nine per cent compared to the same period in 2017. The trend measure for housing starts activity in the Kelowna CMA increased in November due, in large part, to a significant increase in multi-unit construction for the month. In particular, new apartment condo and rental projects bolstered housing starts in November. The seasonally adjusted annual rate of housing starts in November ticked up in Calgary compared to October largely due to gains in row and apartment units. The underlying trend, however, has been moving lower in the last three months, which can be partially attributed to moderating employment growth and elevated inventory levels. In the Winnipeg CMA, the trend in total housing starts in November increased from the previous month. The upward trend in multi-family starts in November was mainly due to the increase in apartment units, which was enough to offset the decrease in row units. Total housing starts during November trended to its highest level so far in 2018, mainly due to a surge in condominium apartment starts. The downward trend in single-detached homes persisted in November as a result of fewer new home sales in the year prior. Fewer site openings and high prices have curtailed sales of single-detached homes in recent years. Total housing starts trended higher as the Oshawa CMA saw the most starts for the month of November in almost three decades. Strong multi-unit starts, particularly in the City of Oshawa, offset the decline in the single-detached starts trend. Higher house prices continue to increase the popularity of relatively more affordable higher density housing. While total housing starts in Hamilton trended down for the second consecutive month in November, they remained at an elevated level due to strength in the row and apartment segments. Row starts are outperforming in Hamilton because they attract buyers that can afford an average priced home. A number of those buyers chose to purchase a new row home rather than a resale single-detached home listed at the same price point, as most single-detached homes in that price range were in need of significant updating. The trend measure of total housing starts continued its climb to the highest level in 2018. Growth this month came from a jump in apartment starts as well as steady single-detached starts. This year's rally in housing starts coincided with low supply conditions in the existing home market, leading to additional demand for new homes. From January to November 2018, housing starts in the Québec metropolitan area were down by 25% from the same period in 2017. Residential construction has been more moderate this year, mainly on account of a slowdown in the condominium segment. The year should end with slightly fewer new rental housing units, even though activity has remained relatively significant. Supply has been stimulated by certain factors favouring demand for apartments, including migration and the aging population. From January to November 2018, housing starts in the Sherbrooke CMA saw an increase of 15% over the same period in 2017. This strong residential construction was mainly supported by significant growth in the conventional rental housing segment, which was stimulated by decreases in the vacancy rate in 2017 and 2018. Overall, the rise in full-time employment and migration should continue to support housing demand over the coming months. New Brunswick's total housing starts in November 2018 were 14% higher compared to the same month last year. The increase was due to a 31% rise in multi-unit housing starts while single-detached starts were down 9% compared toNovember 2017. Multi-unit construction is being driven by increased demand from recent record immigration levels and intra-provincial migration to major centres. A relatively healthy resale market is also enabling seniors to move from homeownership to rental. Total housing starts in PEI were 93% higher in November compared to a year ago. Singles increased by 17% and multiples by 133%, which contributed directly to the significant monthly gain. This was the result of new multi-unit apartment projects under development. Year-to-date, total starts are trending 14% higher, driven primarily by solid employment growth. The standalone monthly SAAR of housing starts for all areas in Canada was 215,941 units in November, up from 206,753 units in October. The SAAR of urban starts increased by 5% in November to 202,054 units. Multiple urban starts increased by 4% to 151,596 units in November while single-detached urban starts increased by 8% to 50,458 units. Rural starts were estimated at a seasonally adjusted annual rate of 13,887 units.